The Actors Fund, KCET Artbound, California Alliance for Arts Education, LA2050, LA STAGE Alliance, Latino Arts Network, Otis College of Art and Design, and the Social & Public Art Resource Center (SPARC) served as Regional Partners by promoting Arts & Culture Candidate Surveys throughout Los Angeles County. 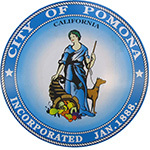 Voting for Pomona City Council District 3 will be held on Tuesday, November 4. 1 seat is available in this election. Only voters who reside in this district may vote for candidates in this election. The arts filled my childhood home with evenings filled with creative arts. My stepfather was a bricklayer, but one who felt he created masterpieces, not just a wall or fireplace. After work he labored over art projects, painting California missions in watercolor, carving a stonehedge head out of volcanic pumice boulder. Together we patiently trimmed and shaped Bonzai plants, created a waterfall with a pump, firepit and stack of stones, and designed a clock from a raisin drying board and turquoise pebbles. My grandparents made sure I experienced the ballet, live theatre and encouraged me to try acting, resulting in my favorite role as Helen Keller in The Miracle Worker at high school. The city council should take a lead role in supporting and encourage the arts and cultural infrastructure both from a policy level and as a patron. Since Pomona has a thriving arts colony, council needs to promote it and assist it wherever possible. Council can take the lead in coordinating efforts to bring new artists, educators and works to our community that may not normally include our city on their National tours. And, we need to be doing all we can to expose our young people to the arts from an early age, through schools, community organizations, museums and other groups. I would keep an open eye on ways that we can include arts and culture in every aspect of our budget,looking closely at our recreation dollars to see that it includes more than just sports. Also, I would champion the inclusion of more public art in new and renovated public spaces. I would also maintain and tweek when necessary our present regulations that require art elements be included in new developments. 1. Promote more cultural tourism, especially during the Fair and NHRA Races when thousands descend upon our city and leave just as quickly. As they leave they should be pointed to our Arts Colony. A fun idea would be to use Charlie the Trolley to bring people to the arts colony from Fairplex and back, perhaps coordinating with the Sheraton for when conventions or such come to town filling the hotel. 2. Work with local arts schools to coordinate an "Artsy" brand for Pomona, showing the diversity of schools and galleries and opportunities available here. 3. Create tours of significant public and private art projects, especially since we are the home of Millard Sheets, have many famous architectural buildings and other worthy showable pieces that could be brought together in one awesome art history tour.